Do you ever wonder if you are being visited by a spirit? Do you have a feeling that there are spirits in your home? Are you curious if a loved one may be trying to connect? Before we launch into the common signs that a Spirit energy is near, it’s important to understand the types of energy we may encounter. This includes ghosts, spirits, angels, demons, fairies, residuals and elementals. Ghosts are typically identified as Spirits that have not crossed over, whereas Spirits are often used to classify those who have crossed over into the ‘light’. There are some key differences between encountering a Ghost and a Spirit. Usually Spirits make you feel calm, comforted and reassured. They often appear in dreams or you may see them as an apparition, either way, the feeling surrounding a Spirit is often calm. Ghosts on the other hand often leave you with an eerie feeling, and can at times make you uncomfortable. They can appear as an apparition, shadow, orbs or ectoplasm mist. They may also be attached to an object or living person. Unexplained noises: Hearing sounds such as footsteps, knocking, banging, scratching or the sound of something being dropped. Usually these sounds can start of subtle and get louder. Opening Doors/Cupboards: Any doors, cupboards or draws that seem to open on their own without rational explanation. Lights Switching On/Off: Having lights switching on and off which are not caused by a rational explanation, or new lightbulbs that seem to blow too quickly. Electronics Switching On/Off: Having items such as TV’s or radios switching on and off, changing channels, moving to static or increasing in volume without any rational explanation. Also hearing a favorite song from a loved one who has crossed over. Disappearing Items: An everyday object is suddenly missing from it’s usual spot, only to see it reappear back a few days later. Item of a Loved One: Randomly finding an object from a loved one who has crossed over. Shadows: Seeing unexplained shadows in the corner of your eyes. Feeling of being watched: This may be an overall feeling, or specific to only one area of the house. Typically this feeling can be eerie however, it doesn’t necessarily mean the presence itself is eerie. Hot and Cold Spots: Experiencing huge fluctuations in temperature in particular areas in your home. Feeling of being touched: Feeling a hand or something brush past, or a poke, push or nudge. Sometimes if the energy is negative there can also be unexplained scratches. Unexplained smells: Fragrances that are not associated to anything in your home or a foul smelling odor- this is usually from a negative presence. Cries/Whispers/Voices: Hearing soft chatter, cries, whispers or even music from an unknown source. Usually coming from one particular area of the house. Levitating Objects: Very rare, but includes objects sliding off shelves, things flying off the walls or furniture moving. This is often indicative of a ghost or a negative energy. 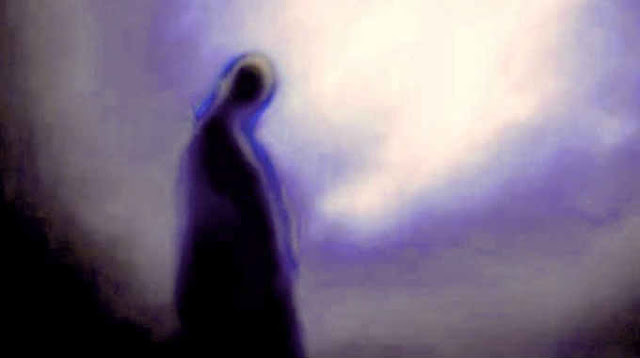 Apparitions: Seeing a human formed apparition or entity, this can either be misty, transparent or solid. You may also see brightly colored orbs- blue orbs are often Spirits and white orbs are often Angels. Objects at your feet: Seeing coins, stones or feathers at your feet are often sent by a loved one or Spirit. Animal Sensitivity: Your animal reacts to a particular area of your home or seems to react to something you cannot see. It is important to understand that typically, not all ‘bumps in the night’ are caused by an actual spirit or ghost. In fact, most of the time these types of noises can be attributed to residuals. Residuals are basically an imprint of energy that seems to be caught on a continuous loop and is playing out over and over again. You can read more about residual hauntings here. Residual energy is usually easily cleared with sage and other smudging rituals, incense and crystals. As for Ghosts and Spirits, intuitively we can often tell which one is paying us a visit by the way the experience makes us feel. Usually ghosts are attached to a particular object or home, whereas Spirits will come and go when they have messages they need to deliver. If you are experiencing paranormal activity in your home, take a moment to observe what type of energy you feel you are dealing with. If it is a Spirit or a loved one, stay open to their messages and if it’s a ghost, set a firm boundary to ensure you can live in your home comfortably.